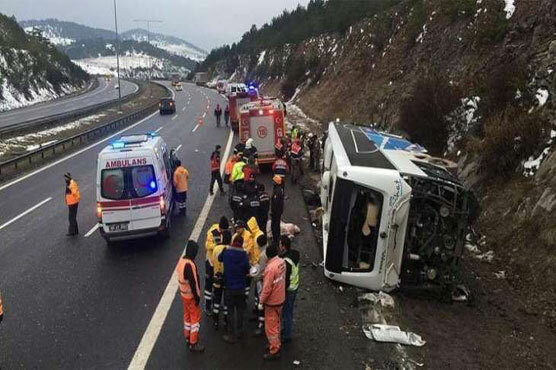 The bus, which crashed late Thursday on the Igdir-Kars highway, was carrying nationals from Iran, Pakistan, and Afghanistan, the state-run Anadolu news agency reported. Images in Turkish media showed smoke rising from the charred bus with its front smashed and migrants lying on the road with bloodied faces. “When we arrived at the scene we found a… migrant tragedy,” Igdir province governor Enver Unlu told reporters at the scene.